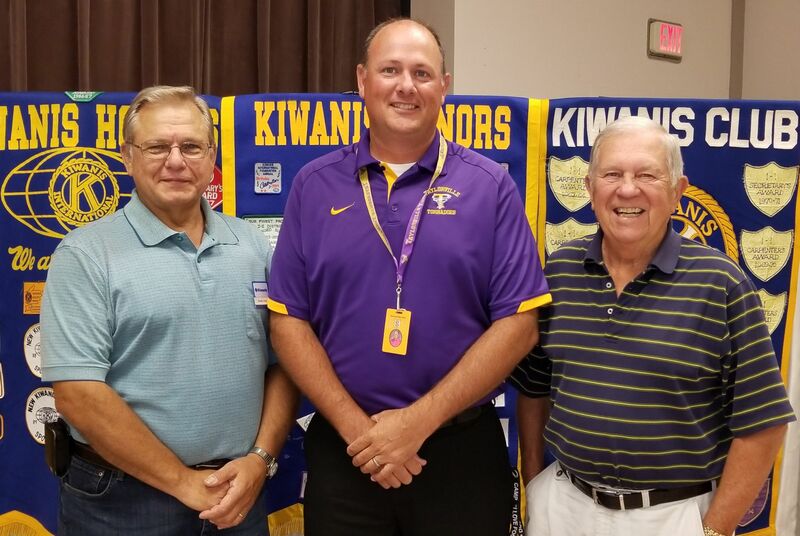 The Taylorville Kiwanis Club heard from the Taylorville Tornadoes head football coach, during their weekly luncheon Tuesday. Jeb Odam is a former THS football player himself, who has been coaching the Tornadoes the past several seasons. Odam said that as a result of the Tornadoes strong 3-and-0 start, they’re ranked number 4 in the state 4-A football rankings. Odam told the Kiwanis members that changing conferences from the Central State 8, to the Apollo, brought a whole new attitude and outlook to T-H-S students and athletes. Odam said that with enrollment numbers being down, the number of students going out for football is also down, but he added he has a very talented group including several seniors on this year’s squad. He added that a few of the seniors have broken Taylorville High School records in their 4 years in football. The Tornadoes are at Mahomet-Seymour this Friday night.